Jennifer’s challenge this week is “Bee”, and Hugh’s is “Behind”. Here’s a picture of a bee’s behind in my garden to answer both challenges. Click on the logos below to join in the fun. Love that you were able to get both!! Thank you. Definitely a lucky shot. Thank you. And thanks for visiting the 3rd drawer down! Lovely capture, Jenny. 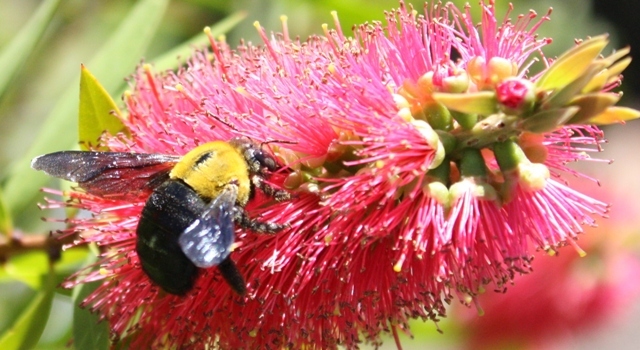 We all need to encourage Bees to visit our gardens. Thank you for participating in this week’s photo challenge. Thanks Hugh. Glad you liked it.